The Catana Tele Spinning EX is the replacer for the Catana Tele Spinning DX. The EX is renewed and improved. The blank is slightly changed and matches the communicated casting weights perfectly now. The new design is modern and notable, definitely with the new Seaguide XSS reelseat with vibraspot. 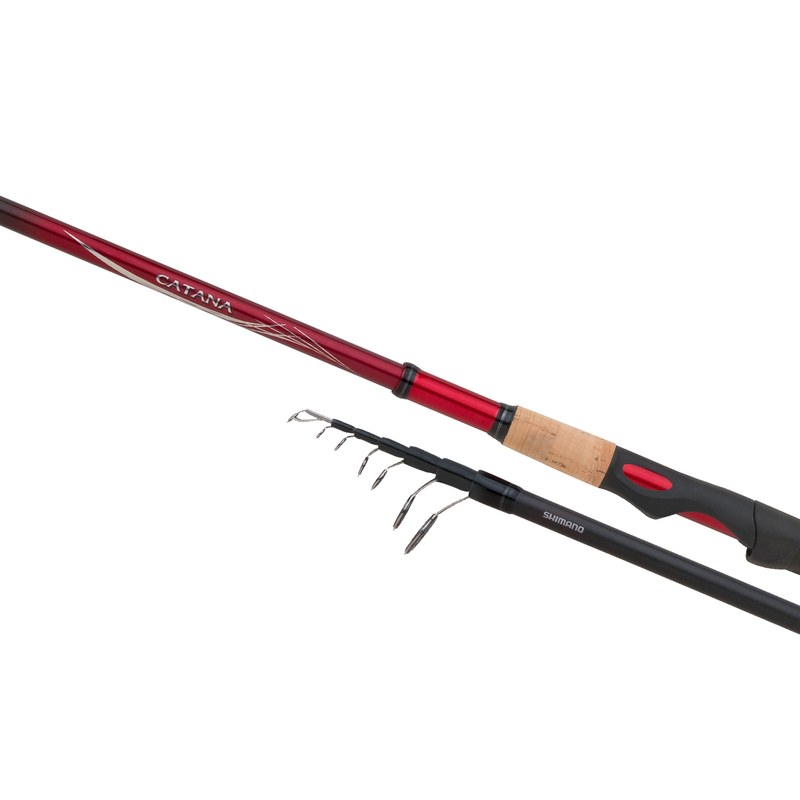 The Catana rod range is developed to be very versatile with models for every kind of fishing. That's why the action of this rod is 'moderate-fast'. This means it's a rod with a nice progressive action which is ideal for all-round usage. This telescopic version is very suitable for anglers who want a compact rod for travelling, to keep it in the back of the car or just for ease. GeoFibre is a naturally derived component that provides rigidity and high tensile strength when added to rods in the lower to mid-price rod band.